THE British government has all but lost confidence in President Emmerson Mnangagwa’s administration and yesterday threatened more punitive measures, including adding more names on the sanctions list, after being angered by last month’s events, which saw at least 12 civilians fatally shot by the military. Presenting evidence before the parliamentary committee on international development, Britian’s Minister of State for Foreign Affairs, Harriet Baldwin, said until soldiers who killed civilians are brought to book, no international bailout would be extended to Zimbabwe. She proposed to add names of people involved in recent human rights violations to the sanctions list as part of new punitive measures against Mnangagwa’s government. “Specifically with regards to sanctions, the committee may be aware that the process of rolling over the EU (European Union) sanctions has just come up and the UK has been urging that it is not the right time for us to allow the sanctions to expire,” Baldwin said. The committee had invited the minister and Annabel Gerry, who heads the Department for International Development in Zimbabwe and South Africa, to brief them so that London makes an appropriate decision on Zimbabwe after initially adopting a soft stance towards Mnangagwa’s government. Through its former envoy to Harare, Catriona Liang, the UK government had recognised Mnangagwa’s victory in last year’s polls and pledged to support the Zanu PF leader’s re-engagement efforts. Theresa May’s government had also taken a leading role in campaigning for the re-admission of Zimbabwe into the Commonwealth, a club of former British colonies. Baldwin said following the recent events in Zimbabwe, it would be difficult for the UK to support Zimbabwe’s re-admission bid and in clearing the country’s arrears with international institutions. “UK will not be able to support Zimbabwe’s application to re-join the Commonwealth because we (UK) don’t believe in the kind of human rights violations by the security forces,” she said. Baldwin said he met with civil society groups in South Africa, who apprised her on the state of human rights violations in Zimbabwe and how government agents were invading safe houses, where victims of human rights violations were being treated. “The recent violence from State actors makes it very difficult for me, personally, to try and argue that this is the time for the UK to be stepping up to the plate and working with international partners to do this. I think that for progress to be made, progress will have to happen in terms of political reforms in Zimbabwe,” Baldwin added. In a related development, Zimbabwe Amalgamated Churches Council (Zacc) patron Jimayi Muduvuri yesterday said he was planning to mobilise 10 bishops from the African continent to travel to the Unites States and protest against sanctions on Zimbabwe. 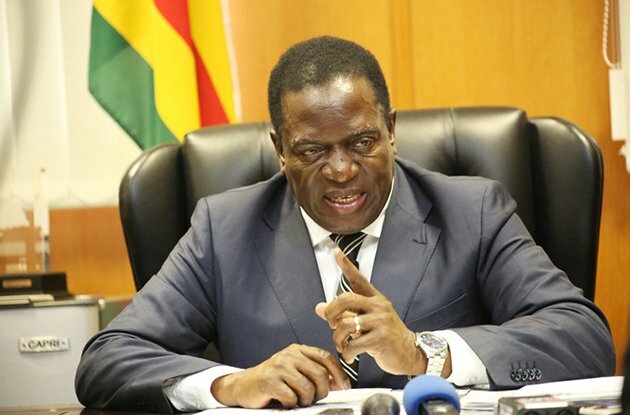 Addressing church leaders in Harare on Monday, where he also signed a petition to be presented to Mnangagwa demanding the unconditional lifting of Western sanctions targeting top government officials, Muduvuri said the Zanu PF leader would take the petition to the Africa Union so that the continental bloc launches a joint operation to force the US and the European Union to remove the sanctions, which he said were hurting ordinary people. “We will stay at their gates until the sanctions are removed,” Muduvuri said.